Many of the cities within the watersheds have active outreach programs. 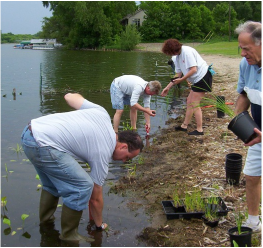 These range from assisting lakeshore associations in managing nuisance aquatic vegetation to park cleanup programs. All of the cities have some type of citizen commission that reviews and provides recommendations to their city councils. All of the cities have planning commissions that review private developments and make recommendations on land use and zoning matters. Brooklyn Center has an active Adopt-A-Park Program that includes frequent creek cleanups. Water quality information is included in the City Watch newsletter. Brooklyn Park, through its Park and Recreation Department, organizes an annual Shingle Creek Clean Up. 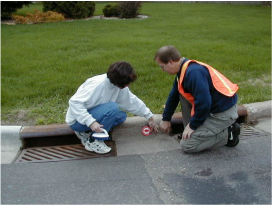 The Operations and Maintenance Department has worked together with Hennepin Parks on a storm drain stenciling project to educate people and discourage dumping into drains that lead to local rivers, streams and lakes. 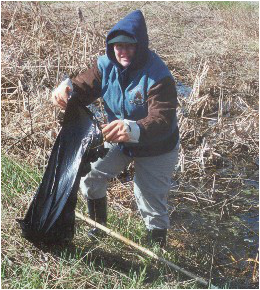 Crystal has been managing the water resources, of the watershed with input from the public, so that the beneficial uses of wetlands, lakes and streams remain available to the community. Maple Grove has a strong interest in protecting and managing its valuable water and natural resources, recognizing the relationships between resource protection, land use management, development, redevelopment and fiscal responsibility. Minneapolis has an extensive outreach program. Catch basin stenciling has been performed since 1993. Minneapolis sponsors an annual Earth Day Watershed Cleanup, which includes Shingle Creek. Minneapolis sponsors a Citizen's Water Quality Education Committee that puts together and distributes educational materials. Water quality information is included in Solid Waste collection literature, the City Calendar, and on City Cable Channel. New Hope The Minnesota Department of Health requires water suppliers, including the city of New Hope, to prepare annual water Consumer Confidence Reports to report the water quality for the previous year. Osseo is educating the general public as well as the City’s maintenance personnel in more pollution conscious methods of mowing, fertilizing and proper waste disposal. Plymouth is also very active in outreach. The Plymouth Environmental Quality Committee appointed by the City Council is responsible for many water quality initiatives. Plymouth conducts an annual environmental fair in cooperation with area schools. Plymouth publishes the “Environmental Extra,” dedicated solely to environmental issues. This two-page section is published and distributed along with the City's newsletter Plymouth News. Robbinsdale is working with citizen lake associations to maintain and improve water quality. This is coordinated through the Engineering Department.